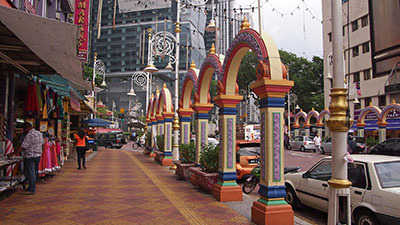 A night of travel and precious few hours of sleep had me worn out by the time I spilled off the train into downtown Kuala Lumpur. I followed directions from a couple Malaysian men toward my destination—a condo I’d have the good fortune of staying at the next few days with a friend. All I had to do was get there without passing out. I pulled my pack closer to my back as the unfriendly heat bore down on me and I summoned my last 10 minutes of energy. As I arrived and passed the guard, I could feel how close I was to that rest. But I didn’t even get in the door before the confusion started. “There’s no Chris here?” “No single people?” “No Americans?” The office worker shook his head ‘no’ to each question in my arsenal. I was lost. And on top of that, my phone was dying and I couldn’t connect to WiFi to contact my friend. Exhausted, I crumpled into a heap on a bench, barely conscious. I’d long heard of Kashmir, a territory disputed since the 1940s between Pakistan and India, with China entering the argument for part of the land half-a-century ago, but had never met anyone from there. The men surrounding me had left their homeland to work and make money to support their families—who, while safe much of the time, could fall prey to a missile strike or larger attack at any moment. In that, the place can be that bipolar: beautiful and tranquil one moment, ugly and dangerous the next. Suresh and his friends go to sleep every night in Malaysia wondering if their family members back home are going to wake up the next morning. A quarter of the world away, those men understand the severe reality that life isn’t promised each day. But that reality seemed to center them in a beautiful way, as well. They just want peace—for Indians, for Pakistanis, for their family, for the land. Their words were resolute, their affects calm, and their respect for the value of life...full. That sobered me, and I was honored to speak with them. I kept thinking about the conversation long after I’d said goodbye, found a restaurant with WiFi, called an Uber cab, and made my way to the correct condo. My life has often been littered with a focus on simple comforts, things like movies, sports, possessions, status, etc. that are not intrinsically bad, but can be when they distract from things that really matter. And they do that often. In a way, I was lost when I stumbled into the Kashmiris’ condo, but in another way entirely, a part of me that was lost was found, and I’ll ever be grateful of that. Plus, when all was said and done that day, I finally got to sleep. So it was a win, all around.